This week we are halfway through our Charity Drive… I am hoping many of you will be sending in items to help fill the box we will be sending to Crochet for Cancer!!! I have received many beautiful items already and I am sure they will be a huge blessing to those who are suffering or recovering from Cancer~!! Please stop by the Amazing Grace Free Pattern Page to see all the Free Patterns in this collection!! Crochet With Me… Mondays~ A easy-going Crochet A Long! Mid Week… A new Free Pattern Release!! 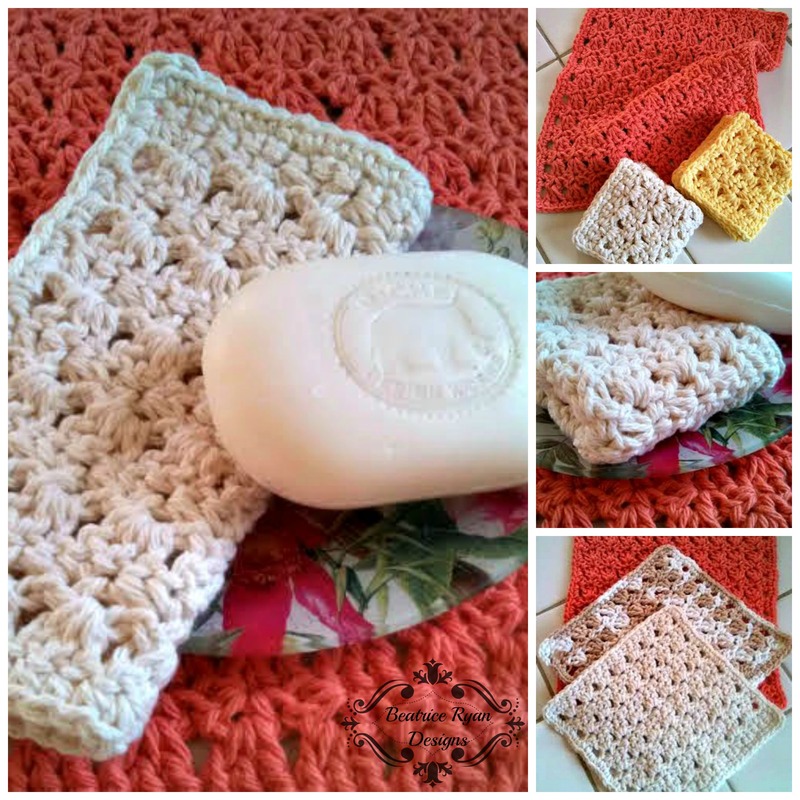 Amazing Grace Spa Trio… Free Crochet Pattern!! !